NEW ORLEANS — Darren Collison came through with the kind of late-game heroics fans in New Orleans hoped to see when they welcomed him to the Big Easy as a 2009 first-round draft choice. The Pelicans had the ball, down 109-106, in the final seconds after Indiana guard Aaron Holiday was called for an offensive foul. But just before Jrue Holiday started to pull up for a 3-pointer, Pacers guard Corey Joseph astutely committed a reach-in foul, putting the Pelicans’ guard on the foul line for just two free throws with two seconds left. Playing without five of their most productive players — including disgruntled All-Star Anthony Davis — the Pelicans have lost three straight. Each loss has been by six or fewer points to teams currently occupying playoff positions in the standings. 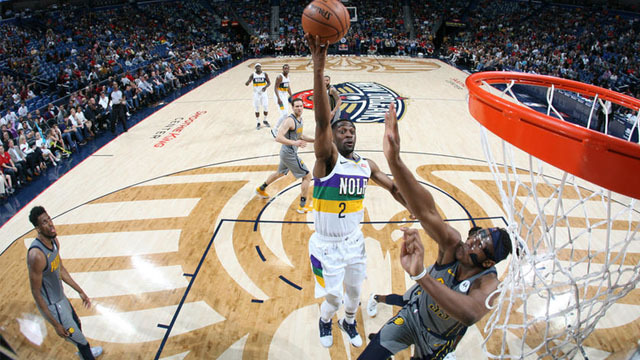 “If we would have knocked down half our 3s, it would have been a different game,” Jrue Holiday said, adding that he’s seen “a lot of encouraging things” during the Pelicans’ recent performances. Pacers: Bojan Bogdanovic and Thaddeus Young each scored 14. … Former Pelicans forward Tyreke Evans scored nine points and said a few words after one basket to former teammate Davis, who was on the bench in street clothes and laughed as Evans jogged past him. … Aaron Holiday, who periodically was matched up against his brother, had eight points. … F Doug McDermott missed his second straight game with bruised ribs. Pelicans: Coach Alvin Gentry said Davis, who last week asked to be traded, has been “cleared to practice” as he recovers from a sprained left index finger that has sidelined him since the end of a loss at Portland on Jan. 18. … Gentry said he hopes by Wednesday that New Orleans’ more prominent regulars will return to the lineup. For the fourth straight game, the Pelicans played without not only Davis, but also forwards Julius Randle (right ankle sprain) and Nikola Mirotic (right calf strain), as well as guards Elfrid Payton (right ankle sprain) and E’Twaun Moore (bruised left quadriceps). Collison said he told Gentry, who was a Los Angeles Clippers assistant when Collison played for that club, that “I appreciate how he’s handling things” in New Orleans amid the uncertainly caused by Davis’ trade request.